Over the past year, Luboku has quickly risen to become one of the most unique up-and-coming talents Australia possesses. 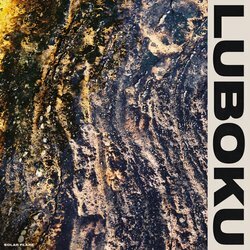 Having introduced himself with a run of stand-out singles and the release of his debut solo EP ‘The Surface’ in November, Luboku has established a body of work that showcases his versatile approach to songwriting; blending electronic, pop and RnB soundscapes along the way. Singles from ‘The Surface’ (EP) have seen support from around the world - with the likes of XLR8R, Indie Shuffle, EDM.com and This Song Is Sick giving it their tick of approval. 2018 also saw Luboku come into his own as a live force, supporting the likes of Willaris K., What So Not and Petit Biscuit, ahead of making his debut festival appearance at Let Them Eat Cake this January. A popular feature in his recent live sets, 'Solar Flare’ is an intricate and emotive slice of electronica. A track that could just as easily soundtrack an afternoon festival set as an underground club at dawn, ‘Solar Flare’ showcases Luboku’s ability to create swirling soundscapes, crafted into tracks that are both uplifting and melancholic.